31 August 2012, Singapore - For pure spectacle, look no further than the 2012 FORMULA 1 SINGTEL SINGAPORE GRAND PRIX. The only Formula One night race is an electrifying combination of thrilling race action and world-class entertainment, all in one fully-loaded circuit park. Held at the Marina Bay Street Circuit – approximately the size of 73 football fields – the event is Singapore's largest outdoor festival and Asia's most talked-about extravaganza. Come September, Singapore GP will be celebrating the fifth year of the night race. To commemorate the milestone, the race promoter is going full throttle with the biggest outdoor entertainment event yet. With only one ticket, fans can enjoy hours of track action complemented with full-scale mega concerts at the Padang stage helmed by global superstars. Headliners Katy Perry, Maroon 5, Jay Chou, Noel Gallagher’s High Flying Birds and Bananarama will each be holding their own full-scale concert, complete with massive customised stage sets, elaborate costumes and extensive lighting and sound effects. Here is a preview of what you can expect at Singapore's biggest outdoor production from 21 to 23 September at the Padang main stage. Jay Chou, Asia's reigning R&B prince, will kick off the weekend and stage a one-night mega-concert in Singapore and his only one for the year. The multi-instrumentalist and award-winning singer-songwriter has a specially commissioned choreography and stage set-up for his 75-minute show that involves spectacular pyrotechnics and laser effects, cranes, plus a surprise element to thrill race fans. 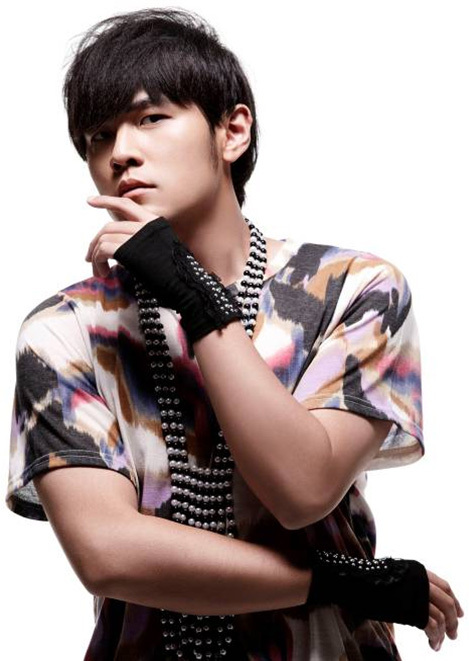 Tickets to catch Jay Chou's concert starts from just S$58 (Friday Zone 4 Walkabout). Get ready for an adrenaline-charged night with three-time Grammy Award winner Maroon 5 after the final track activity on Saturday. Magnetic frontman Adam Levine will rock the night away with the group's radio chart-toppers including 'Moves Like Jagger', 'Payphone', 'One More Night' and 'She Will Be Loved'. The approximate running time is 65 minutes. Prior to Formula One's qualifying session, fans of the '80s will be treated to an hour of greatest hits by the female group with the most chart entries in the world, Bananarama. Sara Dallin and Keren Woodward will belt out crowd favourites such as 'Venus', 'Cruel Summer', 'I Heard a Rumour' as well as 'Love in the First Degree'. 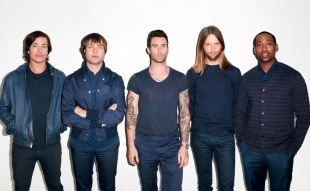 Tickets to catch both Maroon 5 and Bananarama's performances start from S$128 (Saturday Zone 4 Walkabout). 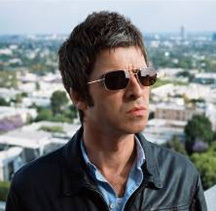 Opening the show on Sunday night is British rock icon Noel Gallagher’s High Flying Birds whose debut album topped the charts in the United Kingdom (UK) upon its release in 2009 and is the second biggest-selling rock album of 2011 in the UK. His one-hour set – the first in Singapore – is jam-packed with hits from his self-titled album, Noel Gallagher’s High Flying Birds, as well as some other Noel Gallagher penned classics from his time in Oasis. Then party the night away with pop extraordinaire Katy Perry whose team has designed a spectacular motor-racing themed set complete with a laser light show and yes, fireworks, for her first full-fledged concert in Singapore. Bring out your glow sticks or lollipops and sing along to Perry’s anthems such as ‘I Kissed a Girl’, ‘Hot n Cold’, ‘California Gurls’, ‘Teenage Dream’ and ‘Last Friday Night (T.G.I.F. )’ at her 80-minute performance. Tickets to catch both Katy Perry and Noel Gallagher’s High Flying Birds starts from S$168 (Sunday Zone 4 Walkabout). Last year, a whopping 50,000 spectators thronged the Padang to catch concerts at the main stage in Zone 4. To top off last year’s successful outing, Singapore GP will be putting together the largest stage for a concert ever seen in Singapore to ensure fans have a memorable weekend. Staging a blockbuster production for these music powerhouses is no easy feat – the stage’s roof structure is specially imported from Australia and is capable of hanging up to 100 tonnes of lights, LED screens, audio equipment and more. Hoisted by a unique hydraulic system never before used in Singapore, the same structure has been used by Korean pop star Rain for his first outdoor world tour, Robbie Williams in Dubai as well as other outdoor concert productions in Australia and Asia. To allow for more interaction between the stars and their fans, the runway-thrust – the ‘catwalk’ aisle – has been extended from 5 metres last year, to a strut-worthy length of 30 metres. The 24 metre by 15 metre stage is flanked by two giant LED screens broadcasting live footage of the concert which allows fans to see the stars up-close in their full revelry. To further pump up the crowd, Singapore GP has specially flown in a crane from Korea previously used by Super Junior, which can hoist the performer up and rotate 180 degrees around the end of the runway. In addition to these superstar concerts, there will also be a myriad of theatrical productions, visual installations, regional talents and roving artistes throughout the Circuit Park. Limited Fan Zone wristbands, which provides spectators access to the Fan Zone just in front of the Padang stage, will be given out when the Circuit Park opens at 2.30pm from behind the sound console at the Padang. Wristbands are only valid for the day’s performances. 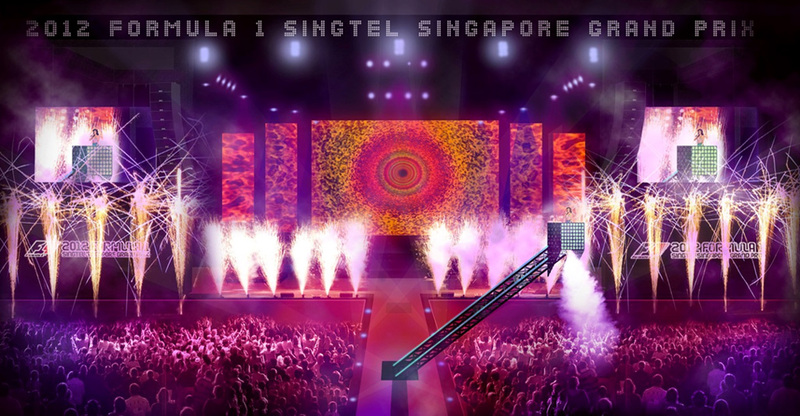 Whether you are addicted to the roar of Formula One engines or an ardent supporter of a chart-topping artiste, the 2012 FORMULA 1 SINGTEL SINGAPORE GRAND PRIX has all the ingredients for a fun-filled weekend.